Fats Waller was undoubtedly one of the finest jazz pianists of all-time. Not only was Fats Waller one of the greatest pianists jazz has ever known, he was also one of its most exuberantly funny entertainers. Having been the prize pupil and later friend and colleague of the greatest of the stride pianists, James P. Johnson. Waller was one of the most popular performers of his era, finding critical and commercial success in his homeland and in Europe. Though he is best remembered today as the author of such popular compositions as ''Ain't Misbehavin''' and ''Honeysuckle Rose,'' he also bestowed upon the world a string of successful and lively recordings and worked on a number of Broadway shows. Born May 21, 1904, Thomas "Fats" Waller came from a Harlem household where his father was a Baptist lay preacher and his mother played piano and organ. He was the seventh of eleven children born to Edward and Adeline Waller. At the age of fourteen he was playing the organ at Harlem's Lincoln Theater and within twelve months he had composed his first rag. Waller's first piano solos (Muscle Shoals Blues and Birmingham Blues) were recorded in October 1922 when he was only 18 years old. Fats Waller's father, Edward Waller, was a Baptist lay preacher who conducted open air religious services in Harlem, at which as a child Waller played reed organ. His father hoped that Waller would follow a religious calling rather than a career in jazz, but after the death of his mother Adeline Waller in 1920, he moved in with the family of the pianist Russell B. T. Brooks. In 1922, James Johnson had been asked to take over the piano at Leroy's, a club at Fifth Avenue and 135th Street where Willie the Lion Smith had been playing. But Johnson was going out of town with a show and he recommended Waller, his 18 year old protégé for the job. This was Waller's night club debut. But he was ready because by this time, Fats had developed into an all-around keyboard dynamo who was playing theater organ for silent movies and stage shows (at Harlom's Lincoln Theater), accompanying singers, backing up dancers in chorus lines, vaudeville revues and nightclubs, and playing blistering stride piano at rent parties. Fats Waller made his first recording in 1922 and spent the rest of that decade performing in theaters and cabarets around New York City, Chicago, and Washington, DC. He also led his own trio in Philadelphia. In 1927, Waller co-wrote a couple of tunes with Johnson for his show "Keep Shufflin.'" Two years later, Waller wrote the score for the Broadway hit "Hot Chocolates" with lyrics supplied by his friend Andy Razaf. Together, Razaf and Waller formed one of the finest songwriting teams of the era. Numbers such as Ain't Misbehavin', Honeysuckle Rose, and (What Did I Do to be So) Black and Blue came out of this partnership. 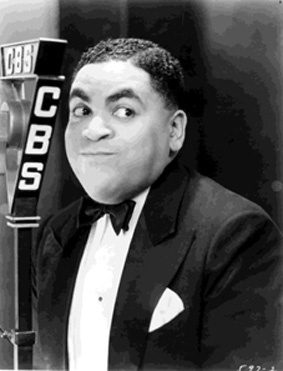 In 1932 Waller began his own radio program, Fats Waller's Rhythm Club, on Cincinnati station WLW. The show proved popular and in 1934 he moved to New York and brought the program to CBS. Waller's big break came while performing at a party hosted by composer George Gershwin. An executive from Victor Records was impressed by his ability and, based upon the success of his radio show, signed him to a contract. With a small group of accompanying musicians, usually six, Waller recorded more than 400 often-humorous titles over the next eight years released under the name ''Fats Waller and His Rhythm.'' Waller also recorded independently for the Commodore label. Though his skills on the piano introduced him to fame, it wasn't until after Fats started to sing that he became famous. From 1930 to 1943, Fats made over five hundred recordings and he was recognized from the streets of Harlem to Danish nightclubs as he toured extensively and appeared on numerous radio broadcasts as well as in some Hollywood feature films. Over the next several years Waller toured the United States and Europe, performing on his own and briefly putting together a 13-piece orchestra in the early 1940s. The orchestra appeared mainly in theaters and made a few recordings. In 1942 Waller played Carnegie Hall. Waller desired to give the audience what they wanted, a gradual shift from the staccato of New Orleans-style jazz towards the swing sound. This is apparent in the one vestige of Waller's association with Johnson. "If I Could Be With You," was composed by Johnson, and is played as a duet--a challenging duet by Waller and Johnson. In the opening verse, the two pianists are slicing through each other's phrases. But as they develop the choruses, one plays straight man, working the melody, while the other is a jaunty, decorative companion until the final chorus, when they syncopate into an easy swinging forecast of the jazz of the 30's and 40's. Throughout his life Waller had a drinking problem as well as a weight problem. Five feet eleven inches tall weighing 285 lbs, Fats would often eat up to12 hot dogs and consume 2-3 bottles of 'liquid ham and eggs' per day. This combination took its toll on his health. Fats Waller died from pneumonia in 1943 while traveling on board a train near Kansas City.